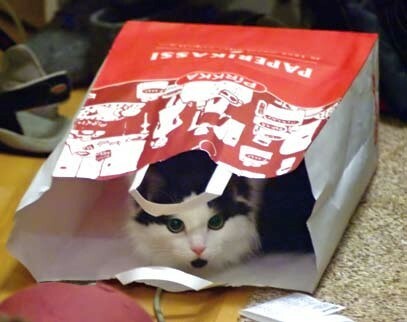 A CAT IN A SACK (I.E. A PIG IN A POKE)? For some time now I have been curious about CAT (Computer-Assisted Translation) tools and whether they would be useful for someone who translates primarily fiction and poetry. Unlike translators in other fields, literary translators are almost never required by their “clients” (publishers, poets, grant-distributing associations) to use CAT tools, but maybe there’s something we’re missing if we don’t? The NCTA CAT tools workshop on November 12th, 2011, was a good introduction to what these tools do and a great way to get specific information in a short time for not a lot of money. As for the particular applicability of CAT tools to literary translation, it seems that there is less to fear, and more reason to use them, than I thought. The workshop was geared toward complete neophytes to CAT tools, and so started from the very beginning with a fine overview by Uwe Muegge. From it I learned that CAT is a general term for all computer-assisted translation tools, which include MT (machine translation, such as Google Translate) and TM (translation memories, which are repositories of previously translated material stored and used by CAT tools like Trados, Wordfast, and MemoQ), and that CAT tools work essentially by breaking the source document into segments, automatically comparing these with the repository, and automatically providing you with “fuzzy” or “perfect” matches it finds there. Uwe also touched on some of the more business-end uses: CAT tools can work with multiple file formats, so you don’t have to ask your clients to send you everything in a Word document, and they make it very easy to provide estimates, since you can see whether most of the matches that come up are non-existent or fuzzy (meaning that fewer of the automatically supplied translations will be correct, so you’ll have to do more work and it will go slower) or perfect (meaning most of the automatically supplied translations will be correct, so you do less work faster). The bulk of the workshop was devoted to sessions by Tuomas Kostiainen and Yves Avérous demonstrating the way the top three CAT tools, Wordfast, Trados, and MemoQ, process the same simple source text. Both Tuomas and Yves are clearly experienced instructors as well as translators, since they took care to explain terms as they went, which helped immensely. The Trados demo came first, and was a good introduction to the nuts-and-bolts of how these programs look on the screen and how the translator uses them. Trados and MemoQ seem to share many similarities, although there are differences in details and features. The biggest downside to the Trados/MemoQ-type programs for me was that the text shows up in segments of just one sentence, so I would have to translate my next novel one sentence at a time; since I am used to working in Word with two documents on my screen, the source document occupying the top half of my screen and my translation the bottom half, I am used to being able to see more of the text at a time. However, sentence-level segmenting would also ensure that I never missed a single sentence, which is always a possibility when working with Word alone. The Wordfast demo was the most attractive to me; because this CAT tool works from inside Word, I could see more of the source text at a time. Also, Yves informed us that Wordfast has the second-largest user base after Trados, meaning that acquiring it for use for my literary translations would also make me eligible for all those jobs out there that are not literary and do require use of a CAT tool. The demo also showed that since Wordfast is web based and Mac friendly, you can take your iPad® (or, in my case, your 2005 PowerBook G4®) to the local café, get on the Internet, get your source file from www.dropbox.com , and start translating; the ability to work outside the office is especially nice for those who have no office. A subsequent inquiry with literary translators revealed that some do use CAT tools, primarily for their flexible, customizable glossaries, which can be invaluable even if the TM never suggests a single match. A few translators had high praise for tools that are less expensive (Fluency) or free (OmegaT), reminding me that these, too, can provide the main things that I want: harder to make inadvertent omissions, easier to self-edit, and wildly effective glossaries. Berdy’s interview of Mazza can be found here .